First we’re creating a simple syrup. It’s already in the name, simply add sugar and water to the small sauce and bring to a boil. Wait until the sugar has completely dissolved and there you have the simple syrup. You can also make a lot more and store in an airtight bottle or preserving jar for a very long time. This way you’ll always have syrup ready to use for all sorts of recipes. PEEL all of the kiwis and chop them into chunks. ADD them to the blender along with the lemon juice. BLEND until smooth, or you can also keep a little bit of chunks to the kiwi puree. 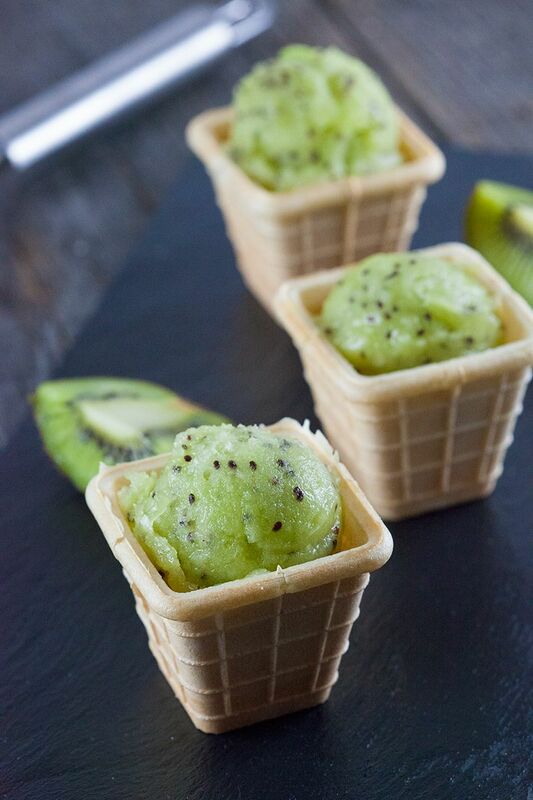 It’s both possible, depending if you like a sorbet with or without small kiwi pieces. We like our sorbet to be as smooth as possible. POUR the mixture into the ice cream maker and let it run for about 40 minutes, depending on your machine. 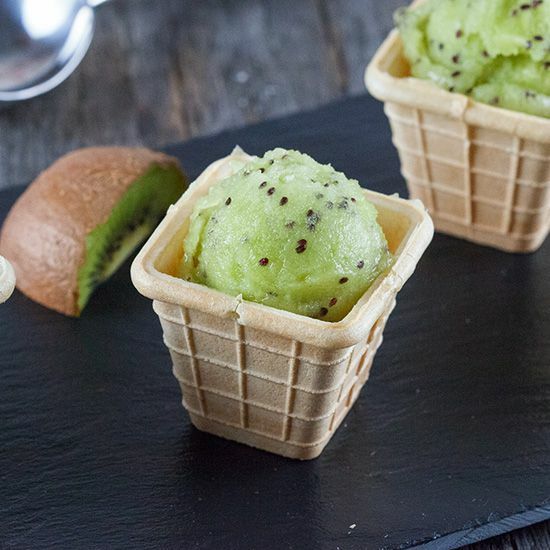 When done, remove the sorbet from the ice cream maker and place into the freezer. 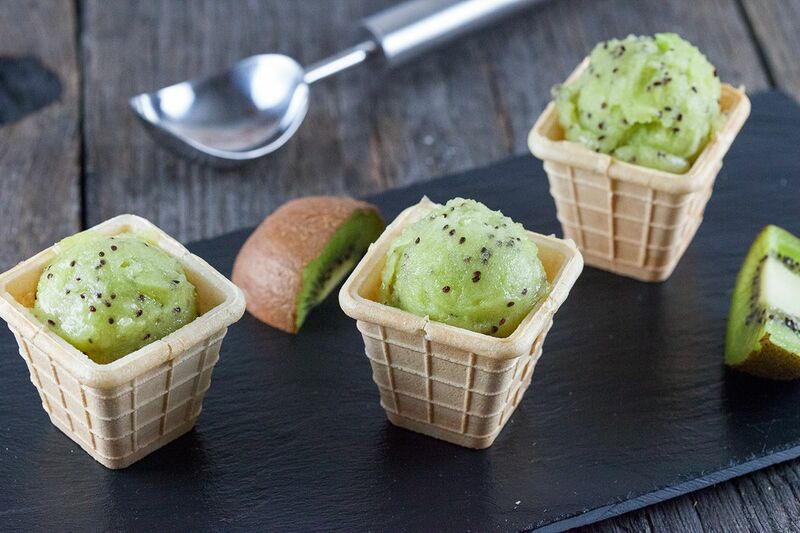 Enjoy this lovely kiwi sorbet!